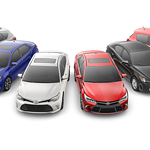 ToyotaCare, a special feature that comes with any new Toyota car, provides owners with free factory-scheduled maintenance for two years or 25,000 miles. Spring weather and car shows, unbeatable combo! Nothing goes together better than spring weather and car shows! If you need a little something different and fun to do, go check out the 2019 DFW Autoshow! Along with current models you will also get sneak peaks into upcoming technologies and releases as well as conceptual designs for future showrooms! For more info about the DFW Auto Show click here! After you get a chance to see the latest offerings come by Toyota of Rockwall for a test drive and an in depth chat with one of our friendly staff about your favorite models! Community works are an important part of our efforts here at Toyota of Rockwall. As folks that work, live, and play in the area we can not over state how inspiring it is for our highest level of management insisting on supporting our own community! Click here to see this write up by a local news publication called Blue Ribbon News on one of these efforts! Stop by Blue Ribbon News website anytime for local feel good news you can use! The Avalon remains a popular choice for people preferring the comfort and space of a full-sized sedan. The models introduced for 2019 boast a number of features that amplify their luxurious style. Visit our showroom and appreciate the new look of the Avalon. Indulge in a pleasant test drive. 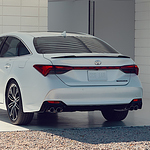 Avalon's exterior features black accents on the grille, side mirrors, around the windows and even on the exhaust tips for a dramatic look. The energy-efficient LED head and tail lights feature linear, flashing turn signals that increase visibility by other vehicles. When it comes time to buy a new car, you have the option of purchasing new or pre-owned. If you select the latter, you then can select from private owners, independent dealers or from a Certified Pre-Owned program like Toyota offers. When you rely on Toyota's excellent reputation, you won't be disappointed. All vehicles in the certification program undergo a 160-point inspection, which means that a qualified mechanic has examined your car and repaired any problems before it ever gets to the sales lot. Its that time of year again for Living Magazines Readers Choice awards! Vote for your favorite local eatery, shops, services, and more. Just follow the link below and get involved in boosting your areas finest and brightest to show your appreciation! Toyota of Rockwall has been blessed by our neighbors earning a winning streak every year since 2013! That said, we can't express enough how seriously we take such an honor and our team will continue to strive to be your best area dealer. 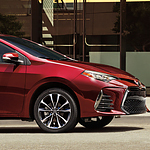 For Rockwall drivers who want to get behind the wheel of a vehicle that is easy on their pocket and better for the environment, there is one manufacturer that stands out above the rest - Toyota. From their smallest car to their largest truck, the entire Toyota lineup delivers exceptional fuel efficiency. 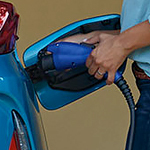 The Toyota Prius is still one of the most popular options for individuals desiring a vehicle that offers fuel efficiency while being environmentally friendly. The latest models offer plenty of convenient features designed for work or play. Whether hauling groceries or recreational gear, the rear of the vehicle has 27.4 cubic feet of cargo space. Need more room? No problem. 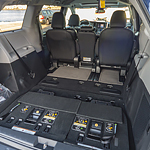 Simply fold down the rear seats and increase the cargo capacity to 65.5 cubic feet of space. At Toyota of Rockwall, our team strives to keep our consumers informed about the vehicles that we offer. If you are interested in the Toyota Sienna, it is a minivan that has much to offer consumers, which is why it is a popular choice. These features include superior comfort and convenience features that you can read about below.